Let’s be upfront about this: we love Carshalton. It’s a beautiful area, we visit it regularly to see family and friends, and we hate nothing more than litter or piles of junk bringing down the area. That’s exactly why we’re so committed to ensuring that every hard working resident and every industrious business owner has our details in their contacts list. With just a single call or text you can have anything and everything whisked away in no time at all, and all for a price that you won’t find matched anywhere in London. Sounds pretty amazing right? With rubbish removal Carshalton has for so long had to cross its fingers and hope for the best. That’s exactly why we promise to make the prospect of a rubbish clearance Carshalton can rely on come rain or shine a reality, not just a dream! With our reliability, affordability, and adaptability all working in perfect harmony you’ll be able to have everything you need done in just a couple of hours. Perfect for freeing up your time and energy so that you have plenty left to focus on the things in life that you love to do! 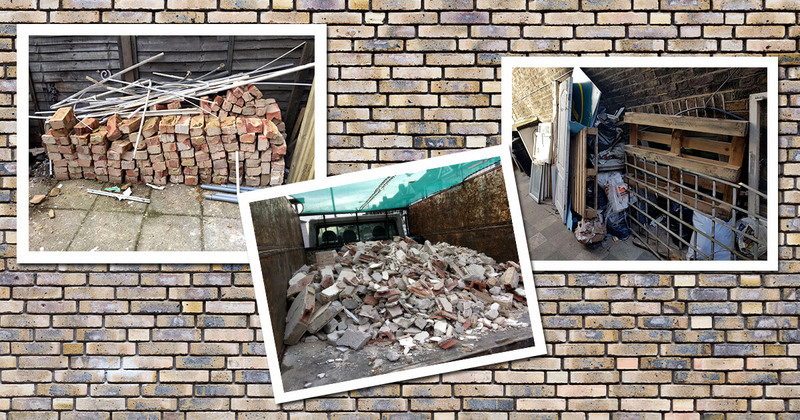 Our rubbish collection Carshalton options are designed to be as simple as possible so that you never have to scroll down a huge list of services and cross your fingers in the vain hope that you’ve stumbled across what it is that you actually need. When you say: ‘please you can help with my rubbish clearance?’ Carshalton we’re right here ready and waiting to say: ‘absolutely, when and where do you need us?’ It really is that simple when you deal with us; take a look at our growing mountain of reviews and awesome feedback on Facebook if you want to know what your friends and neighbours thought when they used us the other day! Word of mouth is one of our strongest marketing tools so is it any wonder that we’re 110% committed to ensuring that we leave every homeowner and business owner smiling from ear to ear as we drive on to our next job? Put our team to the test today and they’re guaranteed to rise to the occasion, even if you need a full top to bottom house clearance! Carshalton we’re delighted to tell you that your days of phoning around at the last minute or crossing your fingers the night before are well and truly over!